Croft Retail and Leisure Park is conveniently located on the Wirral peninsula, just off the A41 New Chester Road, Bromborough, four miles south of Birkenhead town centre. The 450,000sq ft retail and leisure park is a popular destination for local shoppers. All our stores and restaurants are open late, combined with free parking and a great mix of fashion, food and fun for all the family. Visitors to the park have a choice of more than 1,200 car parking spaces, with a full range of retailers open seven days a week. Our store ranges from Dunelm, Curry’s PC World and Mothercare to H&M, Next and Boots. 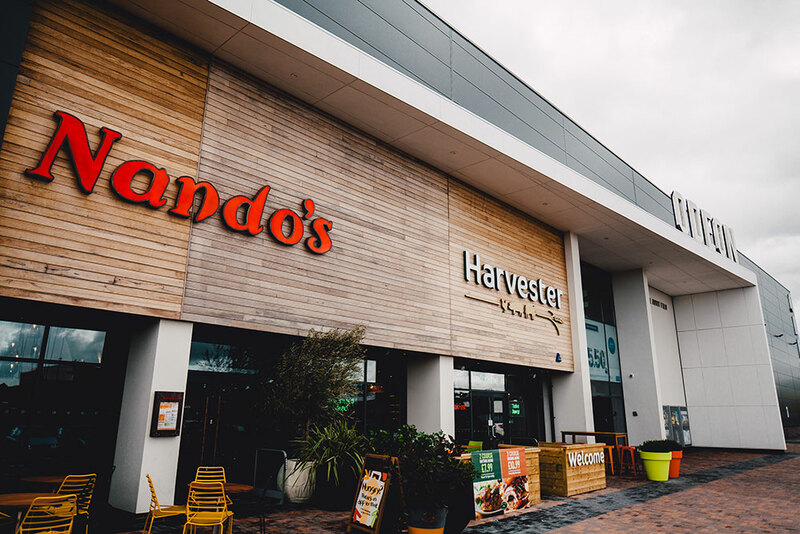 There are plenty of family friendly restaurants where you will be spoilt for choice with Harvester, Nando’s, Frankie and Benny’s, Pizza Hut, KFC, Subway and McDonald’s. Leisure time is also catered for including an Odeon cinema, Gala Bingo and for those more energetic visitors, Fitness First, DW Gym, and Sports Direct will help motivate you!